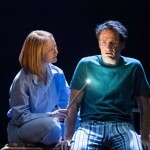 Just two weeks after the Boy Who Lived made his debut on the Great White Way, it’s evident that Harry Potter and the Cursed Child has cast a spell on Broadway. 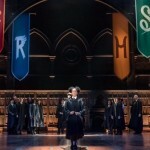 The acclaimed stage depiction of the eighth installment of the Harry Potter saga has earned ten Tony Award nominations including the coveted Best Play. After countless glowing post-premiere reviews, three Drama League nominations, eight Drama Desk Award nominations and ten from the Outer Critics Circle, the Harry Potter play is in the running for Broadway’s highest honor and the most nominated play of the Broadway Season! This is like some excruciating teenaged day dream that you’d be mortified if anyone found out about it even 25 years later. I’m literally the only person here I’ve never heard of. Tonys, what the hell? Thanks, by the way. That was very lovely of you. Let me say also to the Tony nominators thanks for acknowledging every possible corner of the production they could. The whole team is world class and every last one of them deserves a late night special of their own. Thanks for recognizing them as a whole group, I wouldn’t want to be on this ride with anyone else. I am so very thrilled! First and foremost, it’s such a beautiful day. What a difference that makes! I woke up late because of course I do shows in the evening and the first thing I heard this morning was from my friend who told me the news. Then I realized it was May 1! Of course! What really comes to mind today is a South African word: ubuntu. It means ‘I am because we are.’ Being able to be a part of this wonderful company has been such a bonus. 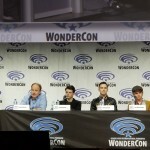 The fact that Steven [Hoggett], Christine [Jones], Neil [Austin], and Gareth [Fry]… everyone got recognized! This creative team is so remarkable and at the very top of their game. My mentor, Tony, is 81 years old and he came here for opening night. It was so special to me. I always go to him for his opinion and for advice. He happens to be returning to London today, so I got a big old hug and soon I’m taking him to the airport. It feels fitting! All of the Cursed Child nominee reactions can be found here. Cursed Child producer Sonia Friedman has much to celebrate today with nominations for three of her other Broadway productions. Mean Girls, a nominee for Best New Musical, with a book written by Tina Fey, leads the pack with 12 nominations. Two of her plays in addition to Cursed Child also received nods; Farinelli and the King and Travesties for Best Revival of a Play both of whom feature leads nominated in the Best Actor category with Harry Potter himself, Jamie Parker. The 72nd annual Tony Awards will be broadcast live on CBS from New York’s Radio City Music Hall Sunday, June 10 8p ET. The full list of Tony Award nominees can be found here.